Mr Muddy may be unhappy about the proliferation of Frangipani shirts about to hit the Home Counties but I’m nothing if not your faithful servant and, you know, I aim to please! 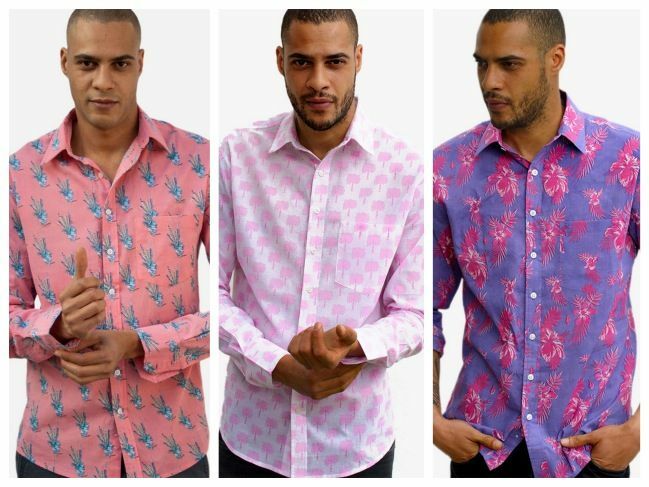 This £225 flash comp has three winners, who each win a Frangipani shirt of their choice. So let’s just imagine we’re in Barbados, with a cocktail in hand, having a drink with the best dressed people in the resort – Anthony Sendall, Jim Whittington and (the husband of) Lindsay Kennedy. Congrats you lucky dabbers! Get in touch with me at hero@muddystilettos.co.uk and I’ll connect you with the wonderful Benny who’ll get your shirts out to you in super-pronto.